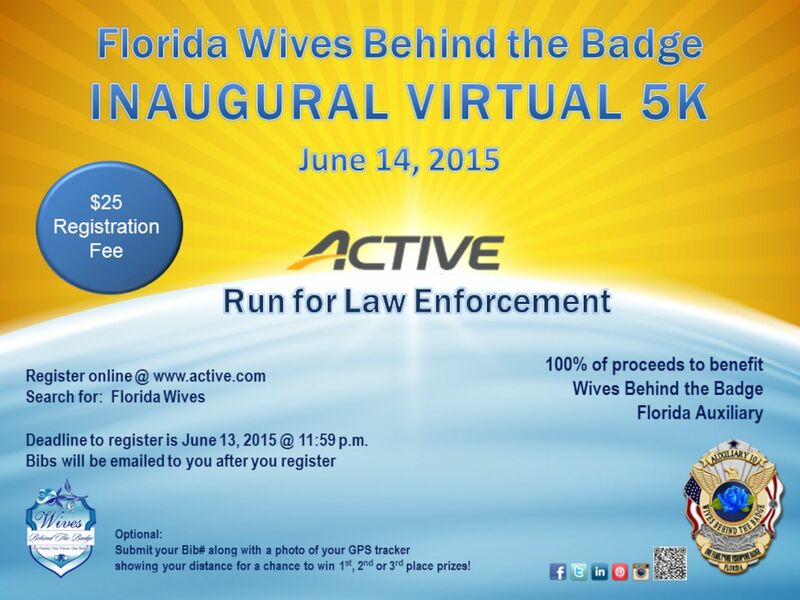 Wives Behind the Badge is a nonprofit 501(c)3 organization founded in California in 2008. They provide resources and emotional support to law enforcement families and serve as a positive voice for law enforcement in the community. Florida has recently opened a chapter of WBTB. Online support forums for LEO wives. Families Behind the Badge: designed to extend the same support offered the main Wives Behind the Badge forums to family members of law enforcement officers. All family members are welcome – parent, grandparents, siblings, cousins, etc. HALOS: (Helping Aid Lost Officers’ Survivors) offers sympathy and support in the event of a line of duty or off duty law enforcement officer. A beautiful condolence card is sent to each family with the contact information for an Angel (volunteer) who is ready to help with any support needed. Angels are then available to assist the department and surviving families with any needs they have. Blue Line Kids: a forums section on the Wives Behind the Badge forums, where kids safely gather to meet other kids living the same lives as police kids. Scholarship Program: one for LEO kids, one for LEO spouses. Auxiliary Committees in 48 states. The Florida Auxiliary WBTB Chapter was recently formed and they are taking on their first fundraiser, which is a Virtual 5k. This event is being held to benefit the Florida Auxiliary and its programs, all of which are centered around the support and appreciation of law enforcement officers and their families in FL. This is a virtual race, so you can pick a time and place to do your 5K (3.1 miles). It can be done at a local event, on your favorite running path, treadmill, while on vacation, or around your neighborhood. Complete your run on or before Sunday June 14, 2015. Bibs will be emailed to you to print at home after you register. Registration deadline is June 13, 2015 at 11:59pm. I am proud that Florida has an auxiliary chapter of this worthwhile organization. I will be registering for the Virtual 5K. This entry was posted in Florida Companies, Misc., Officer Down. Bookmark the permalink.